Rogue’s Socket Pull-Up Bar is a replacement pull-up bar for Rogue power racks and squat stands. 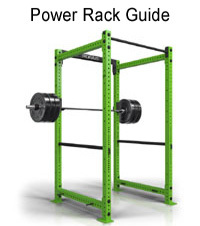 It’s meant to replace the straight, powder-coated pull-up bars that comes standard with all power racks. So why would anyone want or need to replace one straight pull-up bar with another? That’s what I’m going to talk about in this review. Please note that each line of Rogue power racks (Infinity, Monster-Lite, and Monster) does have their own Socket Pull-Up Bar. 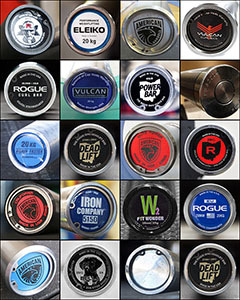 Choose the right product for your particular rack. Customization. Currently there are nine different Cerakote options and one stainless steel option to choose from. 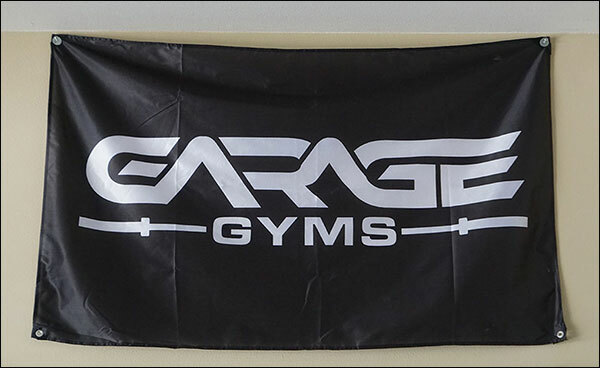 If you’ve ever had any desire to add some flare (color) to your otherwise black powder-coated gym, this is one way to do it. Interchangeability. Because of how the Socket Pull-Up Bar attaches to brackets rather than directly to the rack, you can change the pull-up bars out at will. I don’t see anyone buying multiple bar colors just for the hell of it, but I can certainly understand going from knurled to unknurled in some situations. Knurling. 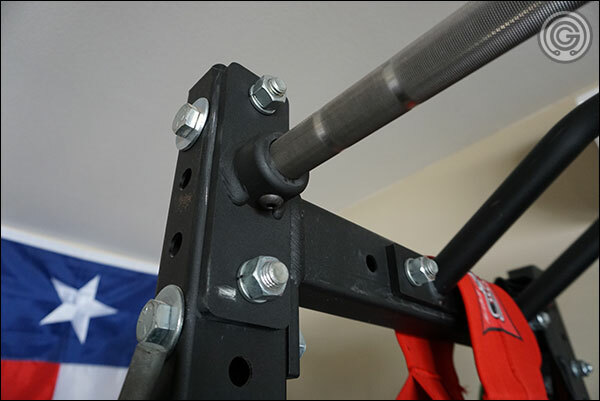 All ten Socket Pull-Up Bar options are available with or without knurl, making this one of the only ways to have a knurled, straight pull-up bar on your Rogue rack. Feel. The Rogue Socket Pull-Up Bar has a 28.5 mm shaft; a familiar diameter to us all. Are these selling points enough reason to spend $100+ on an accessory that you already have? That’s up to you, but before deciding let’s look at the pros and cons of this product. The bar diameter is 28.5 mm versus the nearly 32 mm of standard powder-coated pull-up bars. 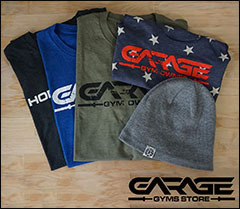 As barbell veterans, it should feel more familiar in your hands than the thicker pull-up bars. It’ll also be more accommodating to those with smaller hands. 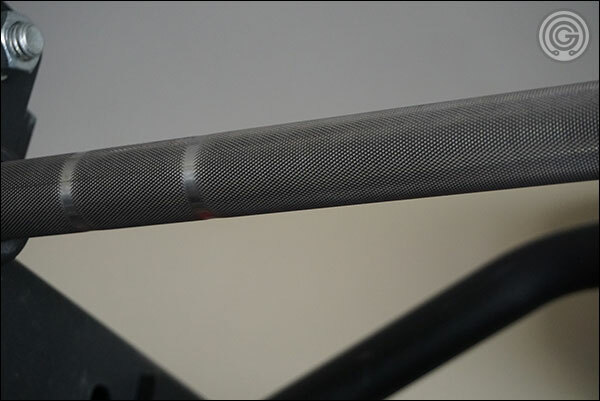 The Socket Pull-Up Bars can be ordered smooth like any other pull-up bar, or they can be ordered with knurling. The knurling definitely makes for a better grip. The Socket Pull-Up system does allow you to add a small level of color customization to your rack, and you can switch between knurled and smooth bars as needed. A stainless steel option is available. I believe this variant offers the best grip, and it also has no branding on it. Easy installation. Just as easy as any other Rogue rack accessory. I believe the knurled variant should be completely knurled. I’ve yet to discover a benefit to having IWF and IPF marks on my pull-up bar. If there is one, why aren’t these marks present in some fashion on the unknurled variants? The knurled version could probably stand to be a hint less abrasive. It is not aggressive by any means, but on something like a pull-up bar a little knurl goes a long way. The Socket Pull-Up Bar is technically an unnecessary expense. You already own a pull-up bar that will get the job done, so in a way this is kind of an extravagant purchase. I personally don’t care for the branding found on the Cerakote variants, but perhaps you do, in which case this wouldn’t be a con to you. Is the Socket Pull-Up Bar Worth it? To be completely honest, when I first saw the Socket Pull-Up Bar on Rogue’s site I thought it was kind of ridiculous. 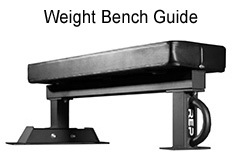 Why spend over $100 plus shipping to replace one pull-up bar with another? I mean, is it just a cash-grab product? Is it actually worth the money? Well, I can certainly understand wanting to upgrade that default, powder-coated pull-up bar with a knurled version of the Socket Pull-Up Bar, and I can even personally attest to the grip advantages of owning a knurled pull-up bar (especially when it comes to weighted pulls and chins.) There is just no doubt that a knurled bar is easier to hold on to. I do, however, think that the smooth variant is a bit too similar to what you already have on your rack to bother unless you’re simply buying it for the color. 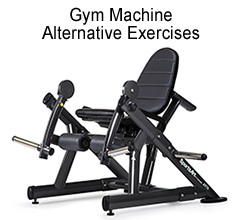 Now, I would never suggest to you that buying different color pull-up bars is a good use of your funds, but they are your funds after all, and there is no shortage of reviews where it’s made crystal clear that people bought a Socket Pull-up Bar to match their power rack – so have at it. What’s the verdict? 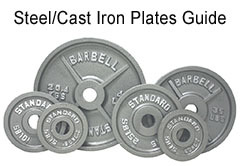 I recommend the stainless steel variant, and while I think the unknurled version of the stainless steel bar probably still feels better than your default, powder-coated pull-up bar, I think it takes buying the knurled version for the impact in overall feel/grip to be substantial enough to warrant the expense. As you no doubt noticed, I did buy the stainless steel, knurled variant and I do not regret my purchase in the least. If you are interested in this product, remember that each line of Rogue power racks (Infinity, Monster-Lite, and Monster) has their own Socket Pull-Up Bar. Choose accordingly. I agree. Colors on bars and such do nothing for me. I actually find that Cerakote weakens knurl because of its thickness compared to other finishes, but maybe that’s just in my head. Looks like they found a way to sell barbell shafts that don’t pass QA. I don’t care for the big obvious branding on products like this either. I also feel like the majority of their new products as of late are just different takes on existing products. I’m ready for R&D to produce something new and interesting. I have the red one and do really like the knurling I just wish as you do that it was completely knurled. I suspect as noted by another commentator If they are just using shafts to keep costs low. Indeed.. it’s tough to imagine any reason for markings that that would trump the benefits of it being completely knurled. Hey, I was wondering when you were going to post again! You’re slacking off this summer, buddy! But seriously, looks like the bracket removes easily enough. I wonder how many people were clamoring for a removable pull up bar? Maybe it’s a move to start making more pieces of their racks modular? I looked into this, but got the Bear grips instead. Pretty happy with my decision. I really wish Rogue would make a shorter bare steel bar (Spiel bar). There’s a reason to get these. I have an RML 3W. It’s standard pull up bar is a quick release bar with a pin on either side. If like me, you have enough room to keep the unit set up and don’t need to fold it against the wall, you can buy a new pull up bar (hello stainless) for the top and then use the quick release bar at the base for nordic curls. Rogue don’t sell the RML 3W quick release bar separately (and won’t, I’ve asked), so this is a great solution that is way cheaper than buying a GHD. That’s an interesting point. Thanks!